Give your feathered friends a gift of a lifetime. Build a bird house that looks attractive and offers birds some relaxing time and protection from harsh weather. 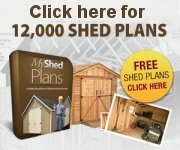 We have a collection of some of the best bird house plans for different types of birds. You can build them all just using some basic woodworking skills. Follow these directions to build a bird house for your feathery friends. Build a nest box / bird house for those robins that are always flying around your house. Build a bird nesting box so when spring arrives, your local birds have a nice new home. 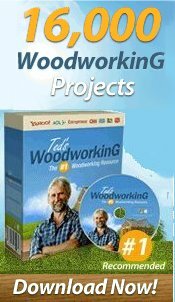 Woodworking plans for building a choice of 4 bird house plans- robin, wren, bluebird or woodduck house. Build this very sheek and stylish purse birdhouse. The charm of this cute little house will provide hours of bird watching pleasure. Plans for four different birdhouses, basic style to unique. You will love building this maintenance free Robin perch . Build this comfortable and easy cleaning wren house. Build a home for your neighborhood barn owl. Build a long lasting robin shelter. Build this sand-cast birdbath that is easy to make. Free plans are nice, but if you want to buy a birdhouse plan instead, check out the book listed below. Show your love and affection for birds in a unique way by building an admirable bird house that can accommodate birds of all feathers.